The Ogle Airport Inc launched a new $10.5M Light Aircraft Parking Ramp at the airport yesterday that is set to hold a maximum of 10 aircraft for operators who do not have access to permanent hangar facilities. The ramp with the aircraft. 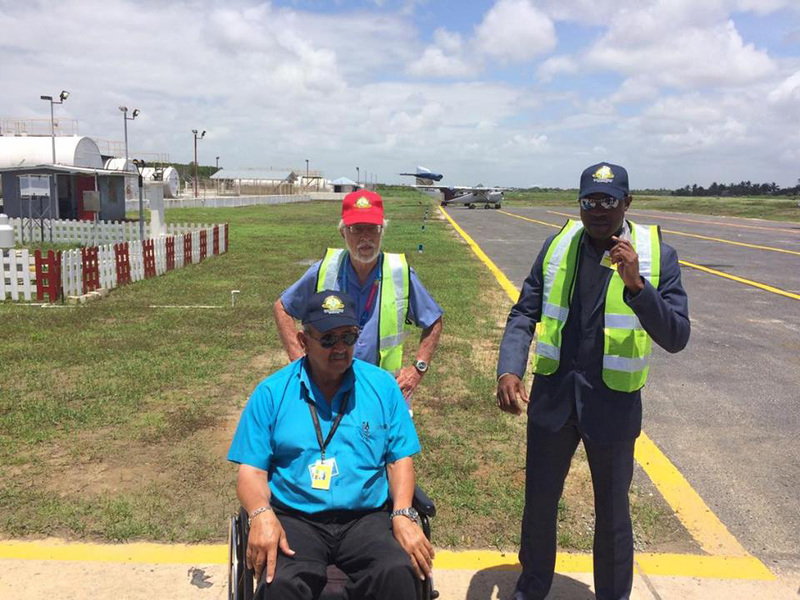 Chief Executive Officer (CEO) Anthony Mekdeci, speaking at the launch, explained that the Light Aircraft Ramp was a requirement for the parking of small aircraft at the airport. “They were accustomed to parking at the other operators who had hangars but they can’t accommodate them anymore,” he said, pointing out that the lack of accommodation for the small operators is one of the main reasons why the parking ramp was built. Minister of Public Infrastructure, David Patterson lauded the airport authorities and congratulated them on making the ramp available. Patterson noted that the National Air Transport Authority (NATA), which represents the majority of the operators at the airport, had raised concerns about the smaller operators and their usage of the hangars of the larger operators. “It was becoming tiresome and bothersome for them to continue having to use the existing facilities and it’s a good initiative,” Patterson said, stating that he hopes the ramp will encourage the operators to continue performing since the airport is not only for international operations but for domestic services and they want to ensure that all the operators have an even chance to compete and be economically viable. “There are several other initiatives to be taken but it’s the right first step and on behalf of the Ministry we are doing a few reviews currently with everyone on the airport with the operations and leases and that should be completed shortly,” Patterson said, congratulating the board for being proactive and taking the steps after receiving complaints. He said he is encouraging the board to continue engaging with the operators, especially the small ones. The ramp facility is equipped with electricity, water supply and aircraft ‘tie downs’ and is set to accommodate a maximum of 10 aircraft, weighing approximately 25,000 lbs. The ramp is situated approximately 500 feet away from the Airport’s main runway and has a direct ramp access to the main taxiway to the runway. 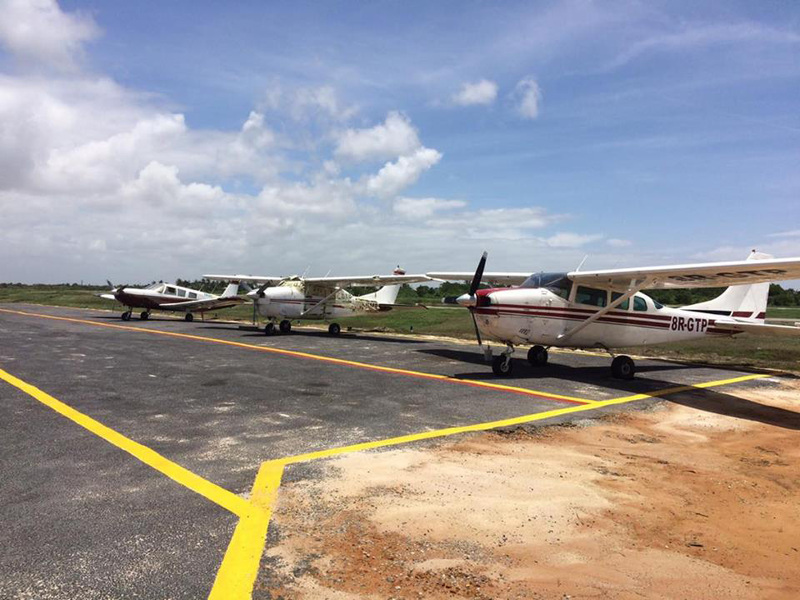 Currently, two operators, Oxford Aviation Inc. and Hinterland Aviation Inc. are using the facilities and have two Cessna 206 Aircraft and a Piper 32 Aircraft, with two unserviceable aircraft and a Trislander and Cessna 150, respectively. No additional fees will be charged and the operators will only be required to pay for the parking, which they are accustomed to paying.